If you're a flea market fan, this rough economy is good news/bad news. Last fall, when I was researching New York City flea markets, the manager of the Green Flea on the upper west side filled me in on the micro-economy of fleas: when the economy is flush, even the marginally-employable can get a job; when it tanks, those who want to avoid a job at Starbucks sell at flea markets instead. So what's up in your hood? Here in mine, they're moving a national historic landmark. The Hamilton Grange, designed by John McComb, Jr., and home to Alexander Hamilton, was moved a couple blocks once before, in 1889. Squeezed between an apartment house and a church it's lost some of its former bucolic flavor. But on June 6th it's being moved down to St. Nicholas Park, where it will enjoy a little more lawn. For weeks now the neighbors have been hanging out watching workers dislodge the house from the wall next door, slowly hoist it up above the roof of the next door church, slide it out over the street, and finally lower it back to the ground. They've done all this by stacking lumber underneath it–and that's about as much as you'll get from me on the technical aspects. What's pretty cool is that the old windows are still in place. With all the construction accidents around the city, I'm holding my breath and hoping the Grange doesn't end up a pile of firewood on Convent Avenue . . . but so far, so good. Christie's Impressionists sale suggests the market is crashing. Or maybe not. Fears that the weakening U.S. economy would affect the art auction market were either confirmed or denied by the 41.1 million dollar sale of Claude Monet's "Le Pont du chemin de fer a Argenteuil" yesterday. Fears that the Christie’s sale of Impressionist and modern art would usher in a market meltdown were assuaged early Tuesday evening when everything from a Monet landscape to a monumental sculpture by Rodin brought record prices. But the sale also had its bumps, as 14 out of 58 works failed to sell because they were considered either too expensive or second-rate examples by first-rate artists. . . . Yet the weak dollar made prices seem cheap to Europeans, who accounted for 52 percent of the buyers, officials at Christie’s said. Americans lagged behind, making only 32 percent of the purchases, far less than in past sales. “Russian buying was significant,” Edward Dolman, Christie’s chief executive, said after the sale. Monet and Rodin failed to prevent Christie's International from missing its low estimate for an evening impressionist and modern art auction for the first time in four years. . . . The result suggests that at least $318 billion of credit losses and writedowns at banks, a slump in the U.S. currency and a dip in global equity markets may have slowed the international art market. The estimate was $3–4,000. The hammer price, $91,000. Even Christie's was stumped as to why a photo of Carla Bruni, now Madame Sarkozy, soared so high. In the video below, one German bidder explains that he was trying to buy the photo to give as a present to the French president and his wife, but the price just got out of hand. The next highest-priced portrait above Bruni's was one of Kate Moss by Richard Avedon. Estimated at $30-40,000, it sold for $97,000. The consignor, Gert Elfering, offered proceeds from the sale of the Bruni print to a doctor who runs hospitals in Cambodia, but Dr. Beat Richner refused the money. "My decision was taken out of respect for our patients and their mothers," he said. "Accepting money obtained from exploitation of the female body would be perceived as an insult". OK, but did he really have to tell anyone where the money came from? That's what I'd be asking if I were on his board, but hey. Now, a Swiss research institute working on turning used water into fresh drinking water in poor countries will receive the money. p.s. In the video below, note how many times they pan the camera up Bruni's body. Hmm. Way down deep, I was afraid that he'd be there with a gun. 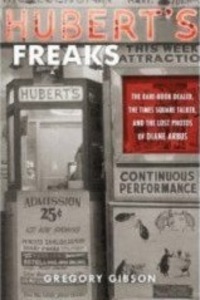 Monday night I decided to stay home rather than go to the Strand Bookstore to hear Gregory Gibson discuss "Hubert's Freaks," which details the life of Robert Langmuir and his discovery of a trove of Diane Arbus photos. I was a little worried that the man he bought them from, Bayo Ogunsanya, might be there, too. In an unfriendly mood. And he was. (The camera doesn't turn from the author, but the speaker was identified by Galleycat.) If you can sit through the long video of the reading, you can hear the voice of Ogunsanya in the Q&A portion of the evening. He's peeved. Although, thankfully, unarmed. Perhaps he knew his revenge was coming the next day, when Phillips canceled the Arbus auction. Two weeks ago I wrote about the controversy surrounding Diane Arbus photos being auctioned at Phillip's next week. Bayo Ogunsanya has asked Brooklyn Federal Court to block the auction, saying that Robert Langmuir, the dealer who bought the photos from him, cheated him of their true value. Most dealers who commented on that post said, in effect, "tough luck." One lone voice suggested Langmuir should end the court wrangling by slipping Ogunsanya a bonus. Phillips auctions the Arbus photos on April 8th, and each is estimated in the hundreds of thousands. Ask Langmuir which island he intends to buy when he appears at the Strand Bookstore next Monday, April 7, at 7:00 pm. He will be appearing with Gregory Gibson, author of "Hubert's Freaks: The Rare-Book Dealer, the Times Square Talker, and the Lost Photos of Diane Arbus," which is the story of Langmuir's life and his "discovery of a lifetime," the Arbus trove. Langmuir, a Philidelphia dealer of African-Americana, books and ephermera, has led a colorful, sometimes sad and chaotic life. 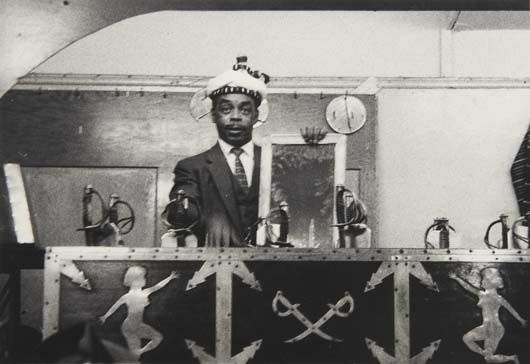 The New York Times tells his story best: Genuine Wonders from the Flea Circus: Photos by Arbus. If he really does sell on eBay under the name that one commenter divulged, he's still at it . . . give it up man! Go enjoy your new island! Other People’s Pictures is a documentary about collectors who share an unlikely obsession – snapshots that have been abandoned or lost by their original owners and are now for sale. The film is set at New York City’s Chelsea Flea Market where, every weekend, dozens of collectors sift doggedly through piles, boxes and bins of cast-off photos, ready to pay anywhere from a few cents to hundreds of dollars for a single snapshot. Many of the film’s subjects find that collecting ‘other people’s pictures’ helps them confront the darker aspects of human existence – familial trauma, social injustice, historical atrocity. 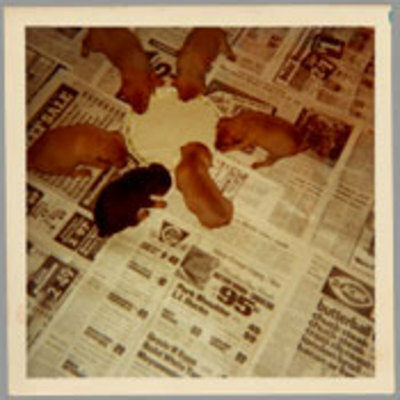 Others simply appreciate the beauty, humor and mystery of these scavenged images. OK, but what about a Diane Arbus photo of puppies? How cool would finding something like that be? 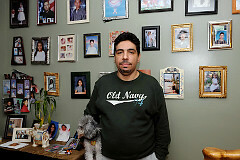 Bayo Ogunsanya has asked Brooklyn Federal Court to block an auction of Diane Arbus photos at Phillips de Pury next month. Ogunsanya sold the photos for $3,500 to Robert Langmuir but was alerted to their true value by an article about their exhibit in the New York Times. He now complains that he was scammed. "He was morally bound to give me a fair price especially since he had more knowledge [about the photos] than I did," Ogunsanya said. Hear that? It's the sound of dealers across the land gasping. Buying low from the unsuspecting and chuckling all the way to the bank–that's the job description! 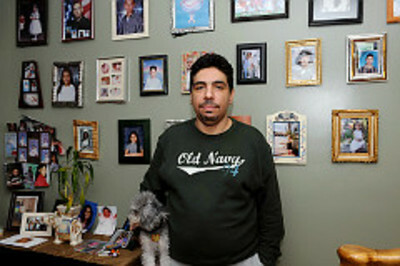 Ogunsanya, who collects African-Americana, bought a trunk full of the unclaimed photos from a Bronx storage facility in 2002, and now says he feels victimized. He claims Langmuir promised to give him more money if the photos turned out to be "worth more than you and I think they are." They are a worth a whole lot more than $3,500. Picturing Hubert's Dime Museum and Flea Circus in Times Square in the 50s, the photos can be previewed on the Phillips de Pury website. There are 28 lots ranging in estimated price from 20,000–120,000. The photo above is estimated at 70,000-90,000. While some may protest that Ogunsanya should have done his homework, I think most of us have experienced the sick feeling of realizing too late the value of a piece we've sold too cheaply. Imagine your worst mistake. Now add a few zeros and a really sweet retirement to the total . . . that hurts. A few weeks ago I posted a story about a Warhol Dollar Sign stolen from the Martin Lawrence Gallery in 1998. Christie's remarked that when Jason Beltrez tried to consign it, he didn't seem like a typical Warhol consignor, and I wondered exactly what your typical Warhol consignor looks like. Then I found the photo above. I guess your typical Warhol consignor does not live in Windsor Terrace and wear Old Navy sweatshirts. Other negatives: Mr. Beltrez has suffered some personal losses that pushed him into drug abuse (he's now in rehab), is unemployed and has a criminal record. But on the plus side he is a homeowner and the father of three. And, apparently, a poodle lover. Mr. Beltrez says that he bought the painting for $180 at a flea market outside the Holland Tunnel. He has hired a lawyer and is standing his ground, saying he's an honest man who lucked out and, in effect, finders keepers, losers weepers. "If I knew it was stolen, would I go to Christie's?" he asked. Good point. On the other hand, art thieves are often "simply not the sharpest grappling hooks in the toolbag." Mr. Beltrez used to live on Broome Street, just blocks from the gallery from which the painting was stolen, which he himself admits seems fishy. But the strangest part of the story is that he says he didn't realize what he had until a friend asked, of the dollar sign hanging on his wall, if it was painted by "that Campbell soup guy." Can you live in SoHo in the '90s and not know a Warhol when you see it? Clarke Auction Gallery to Antiques Roadshow: valuation day? We got your valuation day right here. Clarke Auction Gallery is now offering free valuations on Wednesdays from 1 to 5 pm. That mystery piece in the garage that you've always fantasized about hauling out to Antiques Roadshow? You'll be missing your chance to appear on television with one of the Keno brothers, but on the other hand, at Clarke there's no long lines, and no chance that you'll be that shame-faced sucker who just got told in front of millions of viewers that the cherished family heirloom is a worthless reproduction. Clarke once identified a suite of shabby chic furniture as 18th- or early 19th-Century Venetian, and sold it for $70,000. Get this–the owner hadn't been able to interest any of Manhattan's larger auction houses in the furniture. Oops. There's a limit of three items per person, and you can bring photos instead of the actual object. Contact them at 914-833-8336 or email ccauctiongallery@aol.com. If you're pleased with what you discover, you can sell it to Clarke directly (if they're interested) or consign your prize to auction. Or bring it home and brag a lot. If you're not happy, however, you can just slink away, blissfully anonymous. What the...?! Clarke identified this unwanted piece of glass as a Livio Seguso sculpture and sold it for $1900. The mundane reality is that many art thieves are simply not the sharpest grappling hooks in the toolbag; the smart ones choose to steal things that can be much more easily converted into money — or just money itself. In other words, once the Van Gogh is in your possession, where in the world are you going to fence it? It's not like there are multiple copies of the same painting lying around. If you've got the painting that just disappeared from the famous museum, it's pretty glaring. 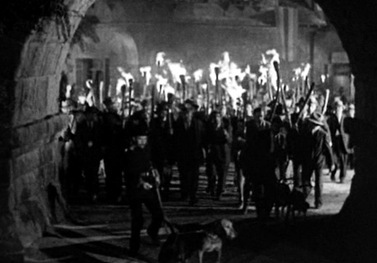 and a number of posts about the mess eBay is making of their business and the lengths sellers are going to to find other outlets, including: Online auctioneers divide eBay exodus booty. The Antique Trader Blog pulls in many quick, informative, and amusing stories from around the country. My mother used to subscribe to the print version and it was a big event when it came in the mail. It's nice to see that the magazine is still relevant and moving gracefully into the digital world. Rock star Bono is hosting (Auction) Red at Sotheby's this Valentine's Day to benefit the charity. If you're eager to bid against the likes of Michael Stipe, Moby, Josh Hartnett, Ed Burns, Dennis Hopper and Christy Turlington, don't hurry to register for a paddle. The audience of 700 is invite only. (Red) benefits AIDS patients in Africa. A percentage of the sale of consumer products bearing the (Red) label goes to buy the two pills a day necessary to keep patients alive. Bono convinced Damien Hirst to petition many of the art world's top contemporary artists–Jeff Koons, Takashi Murakami, Chuck Close and more–to donate pieces to the auction, the entire proceeds of which will benefit the charity. Many of the pieces were created specifically for the auction, and are donated directly by the artists. It's refreshing to hear about an auction where the proceeds will go to real good. But the original sales estimate of $40 million has dropped recently to $21–29 million based on recession fears. 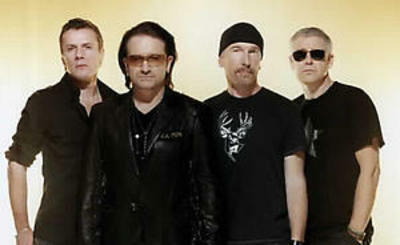 Pump up the music, Bono! Shake those wallets, people! I was wondering the other day if the Brownstoner's Brooklyn Flea had been able to recruit any sellers. Then I found their new blog. Check it out: they've included a list of all the vendors who have committed so far. Paul De Beer is one–Eric Demby says that he spotted Paul on Craig's List and called him up with an invite. It looks as if they already have a good selection, but I'm rooting for the flea's list of antiques, vintage and collectible dealers to grow (there's just way too many hand-made crafty things in the city markets these days, grumble grumble) so if you're that person, or if you have any advice on which sources Eric should use to spread the word to the antiques community, please contact him through the website. Just when we all got over the Elizabeth Gibson/"Tres Personajes" drama, another stolen painting has surfaced in Manhattan. Filched from the Martin Lawrence Gallery in 1998, one of Warhol's Dollar Sign portraits re-surfaced when a man named Jason Beltrez tried to consign it to Christie's. The auction house is holding the painting, which is on the Art Loss Register, while the gallery sues for its return. 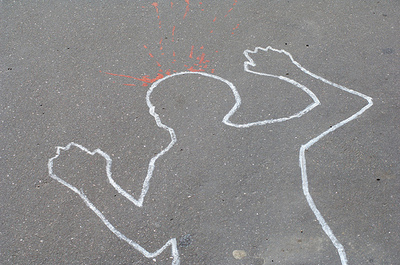 The register's general counsel remarked "It really was a textbook case for us. You had a seller who may not have been your typical Andy Warhol consigner and you have a major auction house that's doing the right thing." OK, but who IS a typical Warhol consigner? Are they that easily recognizable? On to the shows ... reading between the lines, it sounds as if attendance was off at the New York Ceramics Fair; they're blaming bad weather and football. If you want to get an idea of who showed what and what it sold for, check out these reports on the Winter Antiques Show and Antiques Manhattan. I'm wondering how Phyllis Sauter made out with Antiques Show Chelsea . . . Phyllis? That's the gist of this article about getting a spot at the Winter Antiques Show. Dealers wait up to THIRTY years to be asked to the show; they can apply, but in the end they have to get the nod in the form of a formal invite. To even have a prayer, their goods have to be top-notch and in original condition. 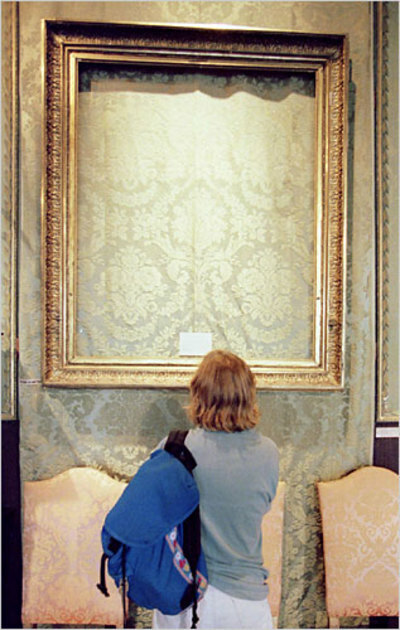 Mirrors, for example, must be the original glass, not re-gilded, and the condition of the paint has to pass muster. "We have a very low attrition rate,'' said the show's executive director, Catherine Sweeney Singer. "Of course you can be removed for not having show-worthy material, but that's very rare." Besides New York socialites, the clientele at the show includes many museum curators. Let's see . . . limited access to high-rolling, high-profile customers, intense entry requirements, and possibly long-living dealers/rivals blocking access to the Big Show: sounds like the makings of a good murder mystery. How to describe the sensation of walking into an antique store? That first moment, so pregnant with possibility, when you exchange the tiresome sunlight and fresh air of the street outside for the musky, dark, crowded aisles where pleasure awaits? There’s the initial blindness, of course, and the stumble over the uneven floorboards and perhaps a sharp howl of pain as the hand you put out to steady yourself ends up in a basket of awls. But then your eyes adjust and you see the riches laid out before you: the headless dolls, the nibless pens, the shadeless lamps. And the zithers. Dear God, the zithers. Zithers. Well said. Check out the full piece here. Is Antiques Roadshow steering clear of NYC for a reason? Yesterday the Antiques Roadshow announced which cities it will be visiting in 2008. The closest they're coming to NYC is Hartford, CT. Maybe they fear they'd be barred at the bridges and tunnels by rioting antiques dealers: Antiques Roadshow is one of the main reasons dealers blame for the deminishment of their business. Antiques Roadshow has not just legitimately educated people as to the value of their antiques–it's also inflamed people's imaginations as to the value of their illegitimate junk. When dealers can't get a break at a garage or estate sale, their margins shrink. But if you've been wondering about any of your own old stuff, Hartford is only two hours north. Tickets are free but must be obtained in advance: check online for rules or call 1-888-762-3749. Just don't let a mob of angry dealers catch you sneaking out of town. "Sure, but what is he selling, the Magna Carta?" That was the reaction of James Zemaitis, director of Sotheby’s 20th-century design department, when asked to give up a room that he had reserved for a pre-auction exhibition of his own. Well, yes, it IS the Magna Carta. Out of seventeen surviving copies, it's the only one in private hands–Ross Perot's–and it's the one and only lot up for auction on December 18th, 7:00 pm at Sotheby's. It is estimated at 20 to 30 million dollars. Sotheby's vice chairman David Redden says of it, ""It is absolutely correct to say the Magna Carta is the birth certificate of freedom. It states the bedrock principle that no person is above the law — that is the essence of it." But ... one lot ... won't that be embarrassing if it doesn't sell? Other high-profile and highly-publicized lots have failed to draw bids in the last few weeks. I think I'm going to tune in for the webcast, and bite my nails. 1 million-dollar painting found in trash sells for 1 million. Other heavily-promoted items, not so lucky. "Tres Personajes," the Rufino Tamayo painting found put out with the trash on a New York City sidewalk, sold yesterday for a little over one million dollars. It exceeded by a small margin Sotheby's high estimate. But in the past few weeks, other highly-touted items have not sold. Your dollars will go to the dogs through November 30th at the Manhattan Art and Antiques Center. The mall, with 65 dealers at 1050 Second Ave (56th Street) is donating 5% of proceeds from sales of animal-themed pictures, jewelry, silver, rugs or decorative objects to the American Society for the Prevention of Cruelty to Animals. On November 29th, from 4 to 6 pm, the ASPCA's adoption van will be parked out in front of the center, so that you can be tempted both inside by animal art, and outside by the real thing. The Wall Street Journal has a very good, if a bit star-struck, blog about the auction world called On The Block. 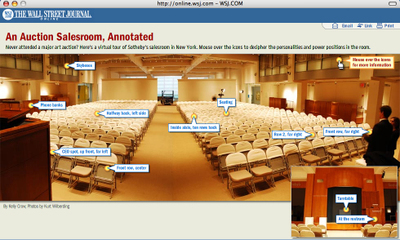 They recently posted this interactive graphic calling out features of the Sotheby's auction salesroom. Follow the link to find out who sat halfway back on the left side (a star!) They also have a nice series of photographs from the Impressionist and Modern Evening Sale. I always imagined that I'd be able to just walk into Sotheby's and attend one of their auctions, but I've learned now that I'd likely be directed into the overflow room (aka "Siberia"). According to an attendee, it's like "being at a rock concert but not in the actual hall." I'm at the Sotheby's Impressionist & Modern Art Day Sale right now. No, I'm not clacking away on my laptop in the back row. I'm sitting in my apartment watching the auction on my computer monitor. Sotheby's and Christie's have started to broadcast their auctions live over the internet. I imagine this feature is mostly for the convenience of remote customers. There isn't much to see, since the unmoving camera is trained on the auctioneer. 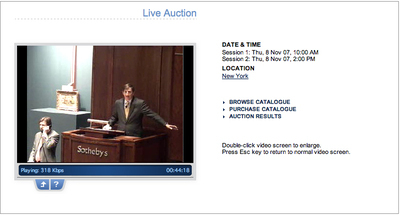 I wish that Sotheby's had hired a camera man to sweep the audience and train in on the actual bidders. I want to witness on each face the thrill of victory and the agony of defeat, or the steely lack thereof. The auctioneer is standing to the left of a large grey revolving wall that swings around to present each piece of art. Last night at the Evening Sale the art was easier to see; this morning a spot light is positioned badly, producing a glare that wipes out any view of the paintings. Nice frames, though. Yes! New flea market to open in Brooklyn! This just in: dismayed (like most of us) by the loss of the flea markets in Chelsea, the folks over at Brownstoner are planning to their own. It will open in Brooklyn this April. 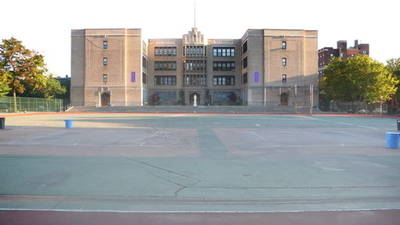 The location will be the Bishop Loughlin Memorial High School in Fort Greene, with an almost 40,000 sq foot playground to host the new flea. Check out the photo of the new site below. All that space! All that opportunity! UPDATE: Check out photos from the first day of the market. Willamette Meteorite fails to sell. Blame bad karma. Don't mess with the Clackamas Indians. 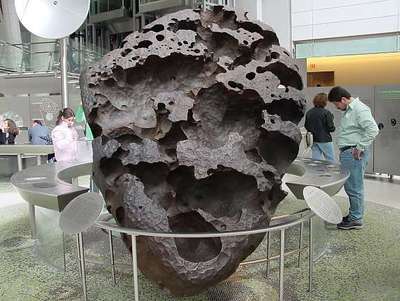 They think the Willamette Meteorite was sent to them by the Sky People and, as a sacred object, it shouldn't be bought and sold, and guess what? The rock couldn't find a buyer at Bonham's this Sunday. The hair on my neck is standing on end. Nobody was tempted by a slice off the top of this famous space rock. For the return of a $1 mil painting, a 1.5% thanks? There were some funny comments yesterday on Boing Boing regarding the 15k reward Elizabeth Gibson received after finding a stolen painting on the street and returning it to its owner. They reflect my feelings on the matter: someone finds your 1 million dollar painting, and you throw them 15k? A 1.5% tip? 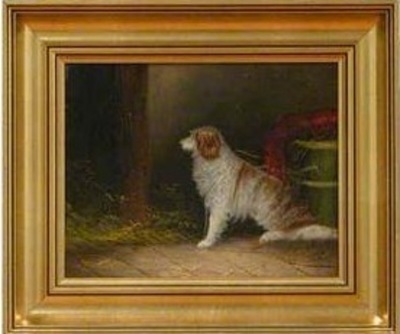 (Of course the painting hasn't realized its auction estimate yet.) Gibson put a lot of effort into tracking the provenance of something she found left out for the trash, doggedly pursuing the matter even when a former auction house employee told her the painting wasn't worth anything. She even went down to Baltimore to watch a rebroadcast of the Antiques Roadshow segment "Missing Masterpieces" just to make sure she really did have "Tres Personajes" in her possession. I told you so. There are treasures waiting for the trash on the streets of New York. Not two weeks after a trailer park resident sold the Charles Rolhfs chair he'd found in his neighbors trash for $189,000, another eagle-eyed picker has scored. 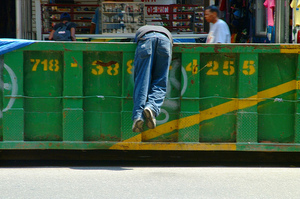 Elizabeth Gibson, "a self-professed Dumpster diver," found a painting on the corner of Broadway and 72nd Street four years ago. It wasn't really her thing, style-wise, and she debated whether there was really room in her apartment for the large canvas, but in the end, the painting exerted an irresistible influence over her and she dragged it home. Elizabeth Gibson, triumphant. AP photo. Through a few years of sleuthing, Gibson discovered that the painting was "Tres Personajes," by Rufino Tamayo, considered the father of modern art in Mexico. 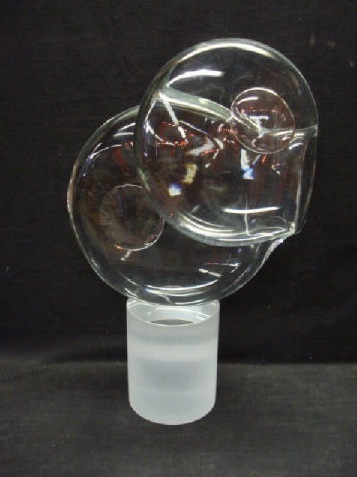 It was stolen from a Houston couple 20 years ago, has been the subject of an F.B.I. investigation, and a story about it had even aired on an "Antiques Roadshow" segment called "Missing Masterpieces." And of course (drum roll) it is now valued at one million dollars. Is Antiques Road Show killing the antiques trade? Ebay and development are usually blamed for the disappearance of flea markets and antique districts in New York.This weekend I heard another explanation. The manager of the 67th Street Market thinks that Antiques Road Show is in many ways responsible for the gasping trade. Back in the day, dealers drove upstate and shopped yard sales for merchandise. 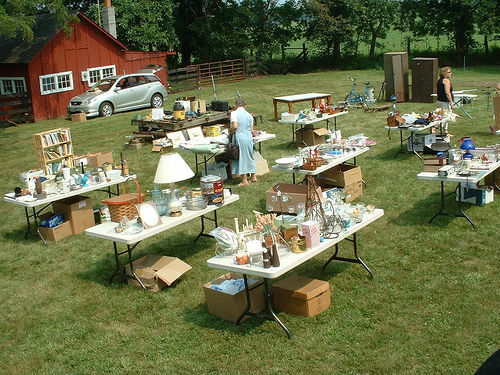 Now, anybody planning a garage sale probably watches Antiques Road Show and knows or thinks they know what an item is worth. (I guess the poor slob who tossed the $198,000 Charles Rolph chair in the garbage wasn't a fan of the show.) It's becoming more difficult for traders to find sources from which they can buy and make a good profit. Maybe it's time to stop supporting public broadcasting! Yard sale goodies may carry a higher price than you might think. His neighbor's trash! That's where a trailer-park resident discovered a rare Arts & Crafts chair made by Charles Rolhfs. Did he understand what he'd found? Well enough, apparently, to have it appraised. The appraisal was $30,000 but last week at Cottone Auctions in Geneseo, NY, the hotly contested chair sold for $198,000. Someone's singing "Movin' On Up" in the trailer park tonight. But since this is a blog about finding antiques in New York City, why do we care? Because we're surrounded by the same opportunities. Chelsea Antiques Garage on Death Watch? Here Be Old Things is about where to find antiques and collectibles in New York City. But as I research this site, I keep coming up against this realization: there USED to be a lot of great places, but they're vanishing, fast. The Soho Flea Market disappeared under the Soho Grand Hotel. The Chelsea Flea Market was hit by a luxury high-rise, with a large chunk landing in Hell's Kitchen and a smaller piece over on 17th Street and 6th Ave. There are buildings on 25th street that I remember as warrens of little shops and stalls worthy of an entire Saturday afternoon's browsing, but the excitement lives only in my memory, because the vendors were sent packing years ago. Now, it appears, the same fate awaits the Chelsea Antiques Garage. The building has been Extell Development for $42.7 million. The blogger Jeremiah at Jeremiah's Vanishing New York spoke to a dealer who "got it straight from the owner" that 2008 will be the market's last year. Tomorrow, October 2, outfits belong to the late Nan Kempner will go on auction as part of Christie's House Sale. And in November, in a Sotheby's sale, Calvin and Kelly Klein are divesting themselves of jewelry once in possession of the Duchess of Windsor. Is the allure the object or the owner? Obviously, in the case of the famous Jackie O auction, the latter. For the Kempner sale, "We've set estimates considering the condition, the collector, as well as the date and the style of the items," says Laura Layfer, couture specialist in the house sales department at Christie's. I'm kind of a Banana Republic girl myself, but a quick look at the catalogue leads me to believe that this Bill Blass and Calvin Klein get up for $3–500 might be a deal. Window display? 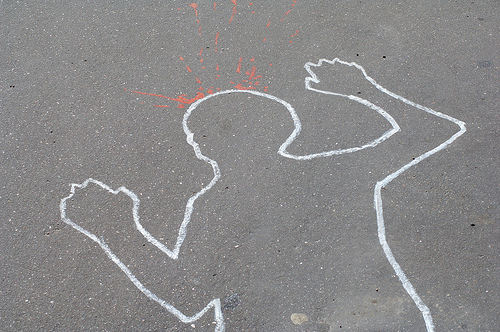 Or crime scene? I took this photo last year of an East Village antiques and curiosties shop window. I won't say which store, because I don't want to get the owners thrown in the slammer. 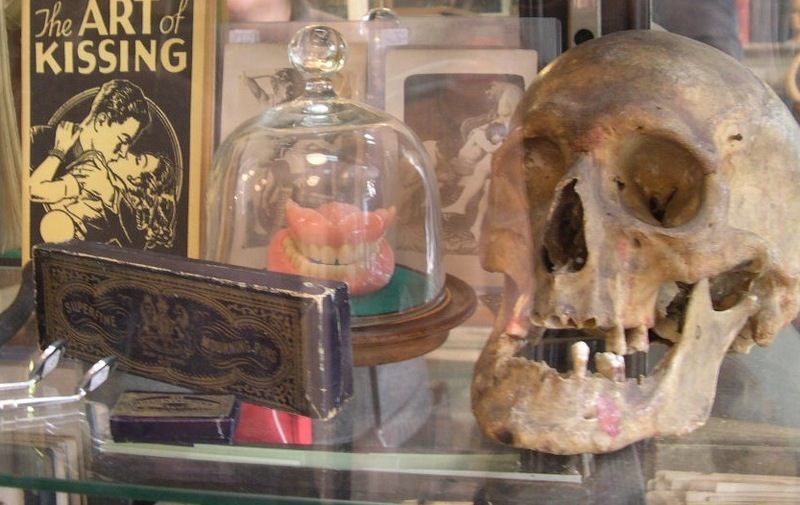 Up at the famous Brimfield Antique Show, a sprawling outdoor flea market held three times a year in Massachusets, Environmental and local police were searching for human remains after a New York state trooper spotted a human jawbone at one of the booths. 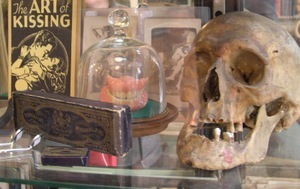 The police seized two skulls, a human skeleton and another jawbone that that had been offered with World War II memorabilia. The bones were sent to the medical examiner's office where they will be tested to determine if any belong to crime victims. It is assumed that none of the dealers offering the bones for sale actually did the dirty deed themselves (which would take the notion of procuring goods to a new level) but Massachusets law prohibits the sale of human remains. Fines or even jail time await. So, if you like to decorate for Halloween in an especially authentic fashion, it might be a good idea to check into local ordinances, first.